Newcastle United are the only side pulling off a second round shock to be rewarded with a home tie, with Burnley drawn away to Cardiff, Plymouth sent to Fylde and Brislington going to Keynsham. Newcastle United will host a TNS side that sit top of Midlands Division 1, Burnley again test top flight FA WPL opposition in Cardiff City Ladies, as do Plymouth with an even longer trip to Fylde, while Brislington keep it more local at Keynsham. Huddersfield Town will be home to Lewes, looking to avenge the 4-0 defeat handed out to them in the FA WPL Plate Final last April. There’s a similarly long trek for Portsmouth and no easier either, as they visit Blackburn. Crystal Palace and Coventry United sit third and fourth in the Southern Division, so a close game is expected, especially as their meeting in South London ended goalless. 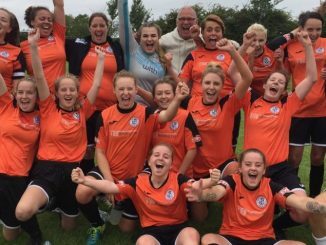 Leicester City WFC welcome Bradford City whom they beat 2-0 on the opening day of the league season. Derby County must wait to see whether they will entertain Brighouse or Wolves, who try to play their game again on Sunday. Ipswich have an attractive home match with Charlton, Middlesbrough meet Liverpool Feds, while Chichester also face lower division opposition in Luton. 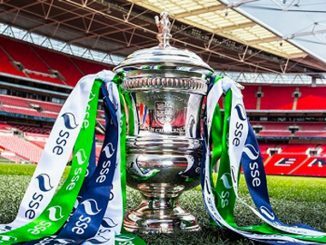 Each winning club will receive £1,000 from The FA prize fund and a place in round four – the stage at which FA WSL clubs enter the competition. Tickets for this season’s Final, which will take place at Wembley, are on sale now, priced at just £15 for adults while kids go FREE.